Templates by Typito is a collection of 200+ curated text animation templates sorted by the most famous brands and popular use-cases. You can check out the collection here - https://typito.com/templates. 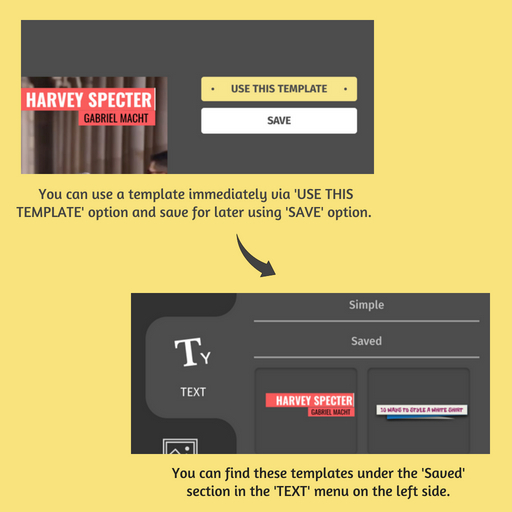 Once you've saved you will find the template ready to use in your Text section on the left panel under sub-section 'Saved'.